Genomics is the study of the the DNA structure of living organisms. DNA contained in a cell makes up a genome. The human genom is comprised of around six billion individual chromosomes. The information in DNA is stored as a code made up of four chemical bases; Adenine (A), Cytosine (C), Guanine (G) and Thymine (T). Genomics studies these four bases and the sequence it takes in a DNA strand. It tries to see how each of these pass information to help each cell in the body work properly. 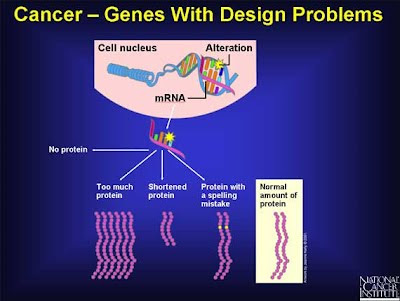 In cancer cells, changes in the dna sequence can cause the cell to behave erratically. It can produce a protein that can make cells grow quickly and cause damage to neighboring cells. By applying genomics to studying cancer cells, scientists can figure out what it is in the DNA structure would allow a cell to become cancerous. 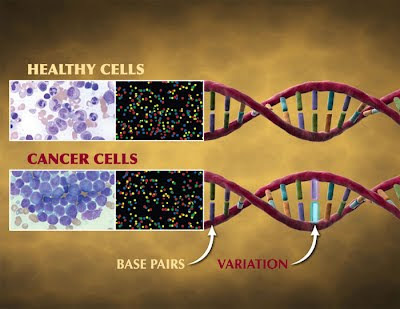 The genome of a cancer cell can also be used to distinguish the different types of cancer. Studying and understanding the cancer genome can also help doctors in finding the best possible treatment for the patient. To speed progress against cancer and other diseases, the St. Jude Children's Research Hospital – Washington University Pediatric Cancer Genome Project today announced the largest-ever release of comprehensive human cancer genome data for free access by the global scientific community. The amount of information released more than doubles the volume of high-coverage, whole genome data currently available from all human genome sources combined. This information is valuable not just to cancer researchers, but also to scientists studying almost any disease. The 520 genome sequences released today are matched sets of normal and tumor tissue samples from 260 pediatric cancer patients. The Pediatric Cancer Genome Project is expected to sequence more than 1,200 genomes by year's end. Each sample is sequenced at a quality control level known as 30-fold coverage, ensuring maximum accuracy. St. Jude researchers are analyzing the genomic sequences to determine the differences between each child's normal and cancerous cells to pinpoint the causes of more than a half-dozen of the most deadly childhood cancers, an effort which has already produced a number of key discoveries reported in top scientific journals. "This effort has generated more discoveries than we thought possible," said James Downing, M.D., St. Jude scientific director who leads the project at St. Jude. "We want to make this information available to the broader scientific community so that, collectively, we can explore new treatment options for these children. By sharing the information even before we analyze it ourselves, we're hoping that other researchers can use this rich resource for insights into many other types of diseases in children and adults," he said. Launched in early 2010, the Pediatric Cancer Genome Project is the world's largest effort and investment to date to understand the genetic origins of childhood cancers. The three-year project will cost an estimated $65 million. St. Jude is covering $55 million of the cost, including a $20 million commitment from Kay Jewelers, a long-standing partner of St. Jude. This is the first major privately funded human genome sequencing project to share its data as soon as it becomes available. To date, this type of open access has largely been restricted to government-funded efforts. Non-government efforts are typically treated as proprietary. "Setting this precedent reflects a commitment to freely sharing information that has been a hallmark of St. Jude since we opened our doors 50 years ago," said Dr. William Evans, St. Jude director and CEO. "The Pediatric Cancer Genome Project is a one-of-a-kind effort, so the information has the potential to accelerate disease research worldwide," Evans said. Researchers worldwide will be able to access the sequence data via the Web-based European Genome-Phenome Archive, which provides large datasets for free access by researchers on request. While most cancer genome initiatives focus only on genes, which make up a small portion of the genome, the Pediatric Cancer Genome Project researchers have taken a different approach. They are sequencing the entire genome – all the DNA – in each patient's tumor. This provides a richer, more complete picture of the DNA changes underlying the development and progression of each patient's disease. "This approach has been more valuable that anyone could have predicted," says Richard K. Wilson, PhD, Director of The Genome Institute at Washington University School of Medicine in St. Louis. "We have identified unusual, 'cryptic' changes in many patients' cancer cells that we would not have found using other methods. We are pleased to be able to share this data with the research community in hopes that others can build upon our initial discoveries." 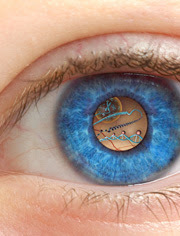 The Pediatric Cancer Genome Project has already yielded significant insights into aggressive childhood cancers of the retina, brainstem and blood published in leading international scientific journals. Project researchers working on the eye tumor retinoblastoma discovered clues to the tumor's rapid development that enabled them identify a promising new anti-cancer agent. Investigators studying a deadly childhood leukemia known as early T-precursor acute lymphoblastic leukemia (ETP-ALL) found unexpected genetic alterations that could change diagnosis and treatment for patients with this disease. Efforts to understand the genetic changes underlying a brainstem tumor called diffuse intrinsic pontine glioma (DIPG) found that a startling 78 percent of the tumors carried changes in two genes not previously tied to cancer. Most recently, project researchers identified a gene mutation associated with a chronic and often fatal form of neuroblastoma—a discovery that provides the first clue about the genetic basis of the long-recognized but poorly understood link between treatment outcome and age at diagnosis. "These findings would not have been possible without the Pediatric Cancer Genome Project," said Downing. He said these results offer new strategies for finding and treating these high-risk cancers. The project has also demonstrated the marked differences between pediatric and adult cancers, underscoring the importance of developing therapies specifically for childhood cancers.